Roasting is great for cauliflower, and nutmeg is just the right spice for the versatile veggie. Let your family be both surprised and delighted by this recipe! The preparation is simple. Toss trimmed cauliflower with olive oil, freshly grated nutmeg, salt and pepper. Then lay fresh thyme sprigs on top of the cauliflower and roast for 30 minutes. The decadent aroma of the thyme infuses itself into every bite. Finally, sprinkle with grated Parmesan cheese and enjoy! 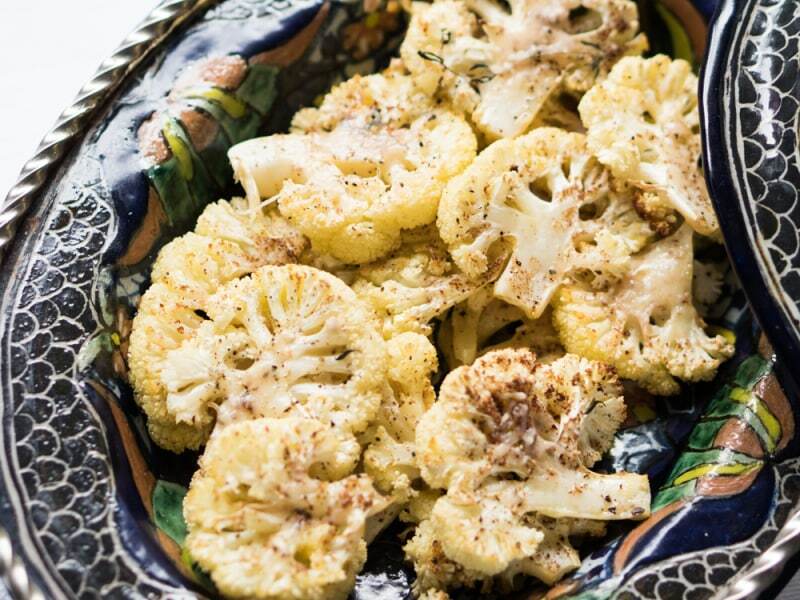 Why not try roasted cauliflower as a snack? The oven does most of the work, so you can just chow down on this excellent source of natural antioxidants, vitamins, and phytochemicals. It's a great way to curb cravings between meals. Per Serving: 183 calories; 16g fat; 7.3g carbohydrates; 4g protein; 5mg cholesterol; 208mg sodium. Roasted cauliflower is my ABSOLUTE go-to roasted veggie. 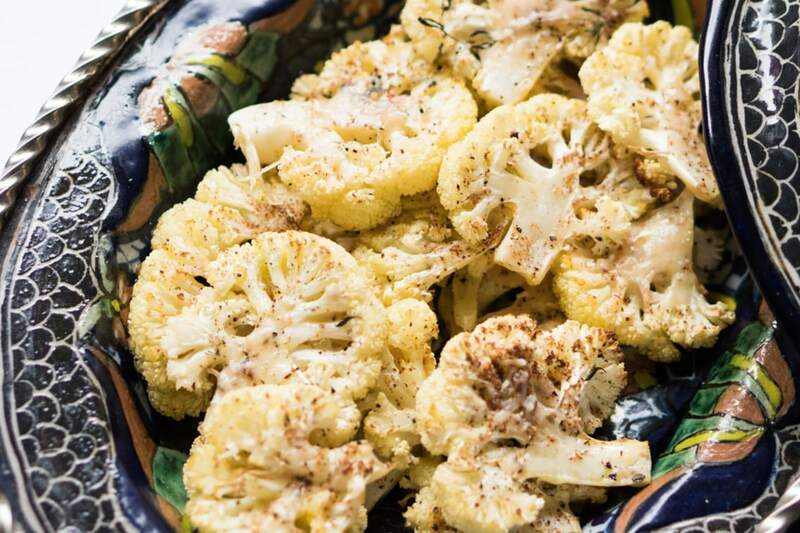 I love roasting florets, I love grilling or roasting cauliflower "steaks" - I love it all. Nutmeg, thyme and parmesan combine in such a unique and flavorful way here. I like my cauliflower a bit crispy, so I blasted it under the broiler for 3 minutes just before serving. Roasted cauliflower is always good, but this thyme and nutmeg version is really amazing. I wasn't sure how it would turn out, but you can definitely taste the flavors in this dish. It's the perfect side dish and really easy to prepare. Roasted cauliflower is my favorite, but not a huge fan of the nutmeg. I did thyme and cayenne pepper for spice, plus grated parmesan cheese. Love roasted cauliflower, but not the thyme and nutmeg combo. I went with thyme, rosemary, and garlic powder. It went perfectly with my wife's famous roasted chicken and carrots. Wasn't sure how I would feel about nutmeg, but it was really good with the thyme. The parmesan cheese was also the perfect addition. Great as a side dish.